Sensor Network powered by Fiber Optic : Products | LAZOC Inc. This is unique sensor network system. 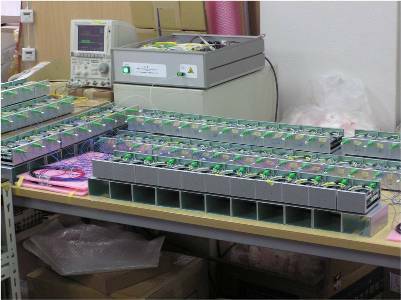 Sensor unit is activated locally by laser power, which is transmitted thorough normal fiber optic network. So no local power supply is necessary, just optical fiber. Any sensor is connectable, preferrably low-power-consumption sensor, such as MEMS.